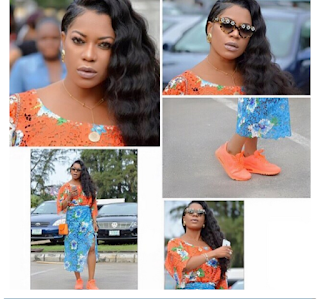 Yvonne Nwosu took to her Instagram page to tell us that fashion has no rules. She tried to prove this by rocking "Buba and Wrapper" on a pair of trainers. I think fashion have rules, WHAT DO YOU THINK?